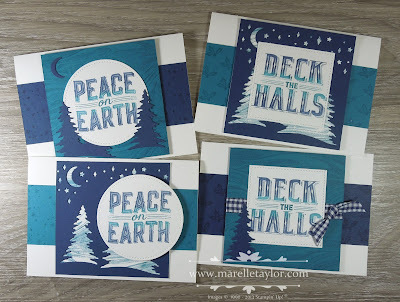 Last week I held my first Christmas Stamp-a-Stack Classes for the year. Usually I would start these in July, so I'm a bit delayed this year! This is the first set of 4 cards that we made. 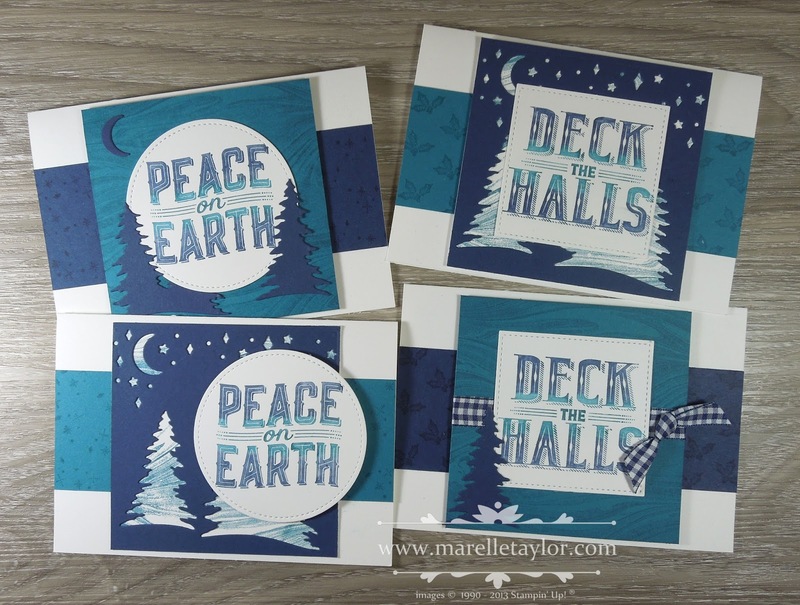 I've used the beautiful Carols of Christmas bundle in shades of blue. I chose 2 of my favourite colours - Island Indigo and Night of Navy. I've given the words a two-tone effect by first inking the whole stamp in Island Indigo and the inking up just the top and bottom portion in Night of Navy. This won't ruin your inkpad if you start with the lighter colour first. I love the look of the Marbled Background stamp. You can see it on the Island Indigo squares and also on the white pieces behind the Night of Navy squares.